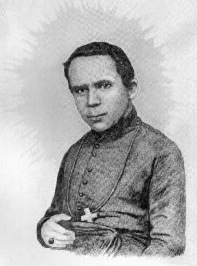 Benedict was a slave, but he always knew that his only true master was Jesus. 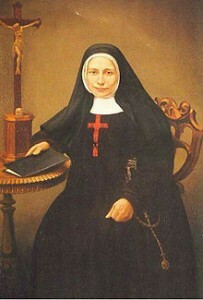 Benedict’s parents, Christopher and Diana Manasseri, were taken from their home in Africa and sold into slavery in Messina, Italy, where Benedict was born in 1524. Given his freedom when he was 18, Benedict worked as a farmer until he had saved enough to buy a pair of oxen. They were the first things he had ever owned. In time, Benedict joined a group of hermits, prayerful men who lived quiet lives devoted to God. They followed the teachings of St. Francis and were called friars. Benedict worked in the friary kitchen. Benedict was chosen to train the young men who joined the order. Then he was chosen to be the guardian, or superior, of the friars. He had never wanted to be a leader, but he responded to his new role by being a cheerful and humble leader who inspired others to grow in their love for Jesus and service to others. He could not read or write. When his term ended, Benedict happily returned to his work in the kitchen. People in Sicily came to the friary to seek Benedict’s advice and to ask for his prayers. He became so beloved that when he died in 1589, the King of Spain paid for a special tomb to be built for him. 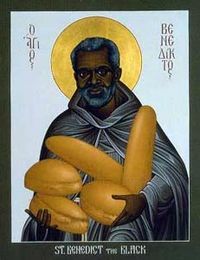 St. Benedict the Black is also sometimes called “Benedict the Moor” (yet he is unlikely to have any Moorish heritage). He is the patron saint of African missions and of persons of African descent. 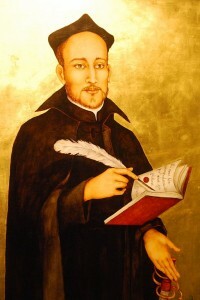 He was canonized in 1807 by Pope Pius VII.